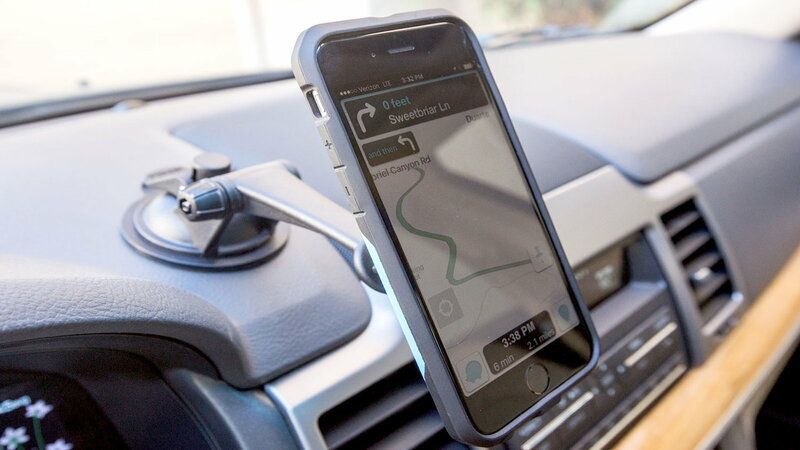 These five mounts will make your iPhone and your car go together much better. 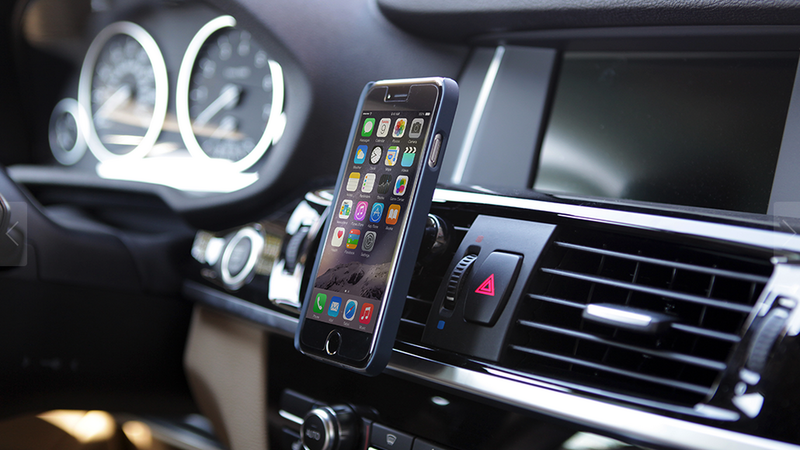 The windshield iPhone mount is one of the most common phone mounts for cars. 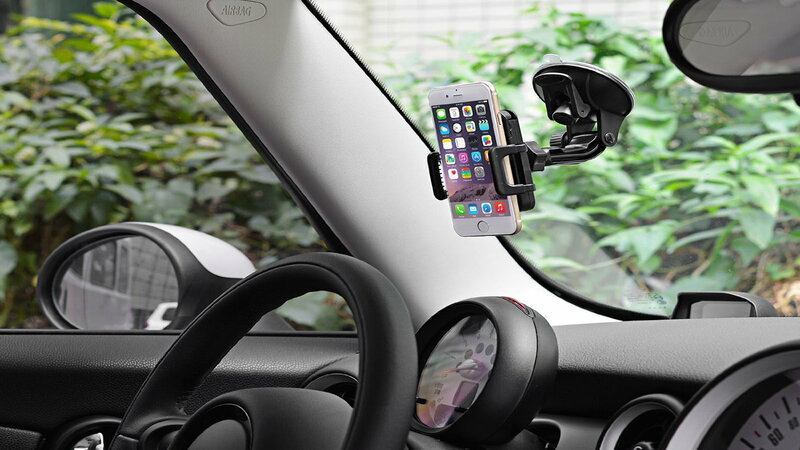 It features a suction cup that sticks to the windshield, which secures it firmly in place. This mount gives you the freedom of placing it to your right, left, or even going back and fourth if you want. This mount is favorable among customers, as you can mount and remove it easily while leaving no marks behind. The air vent mount is the quickest way to mount your iPhone; you simple need to push it into the air vent, and it will clamp on there. This mount is one of the cleanest on the market, as it doesn't require anything that would leave marks or streaks. These mounts could be less stable than some other iPhone mounts, but unless you plan on mounting your iPhone while doing extreme off-roading, you may never need to worry about this. The swivel iPhone mount could seem like a thing from the future, but it is a simple base that sticks to your dashboard, and the top part can clamp on your iPhone or most other phones with various sizes. This mount does require you to stick it on your dashboard using the provided sticking pad, so removing it may be a headache. The top part that holds your phone can swivel 360 degrees, and although you will never need it to face the road, it is nice to know you can. This mount combines the best of all worlds, as it doesn't require you to stick it and create a mess, as well as holds your phone with a magnet, so you can simply just pull the phone away using one hand. 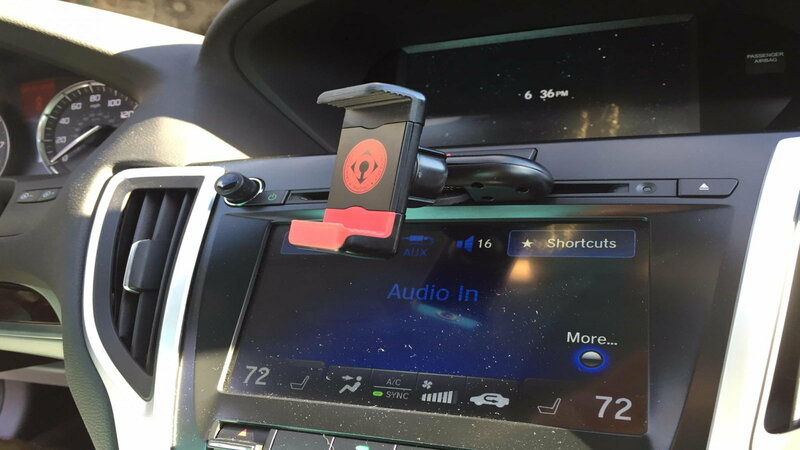 This mount can mount to your dashboard, but you don't have to stick it on there, as it uses a suction cup to stay tightly in place. 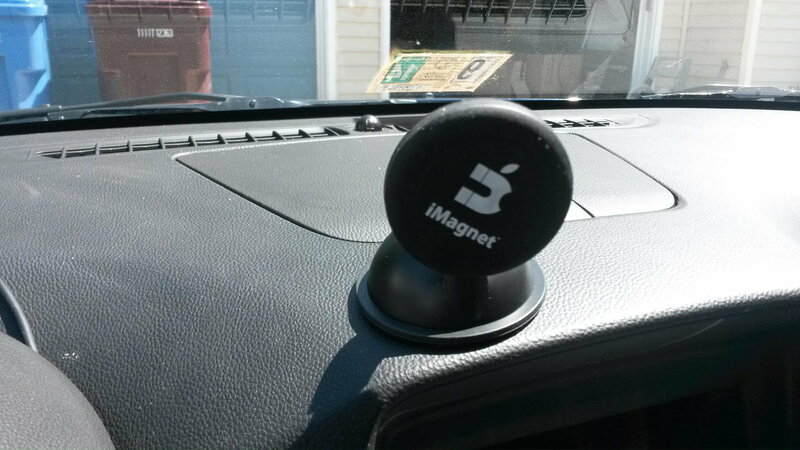 The iMagnet comes with a case that allows the phone to stick to the mount. This mount is the easiest way to access your iPhone. The CD mount is another mount that creates no mess. This can be mounted in the CD port by turning its knob, which will spread two plastic pieces apart that will hold the mount in place. Installing and removing this mount can take seconds, and the best part, it mounts lower on the center console, so it won't be a distraction to you while you are driving.